I forgive people but that doesn't mean I trust them. I forgive people but that doesn’t mean I trust them. 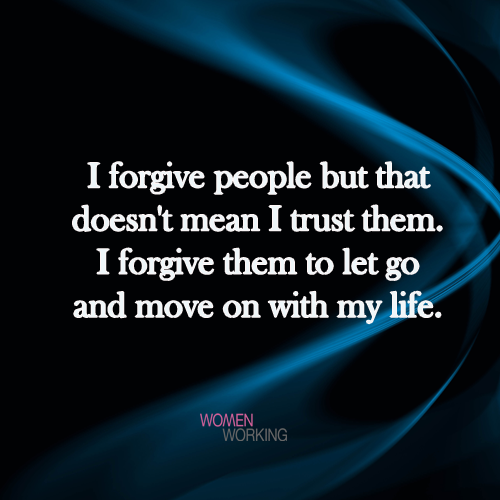 I forgive them to let go and move on with my life.